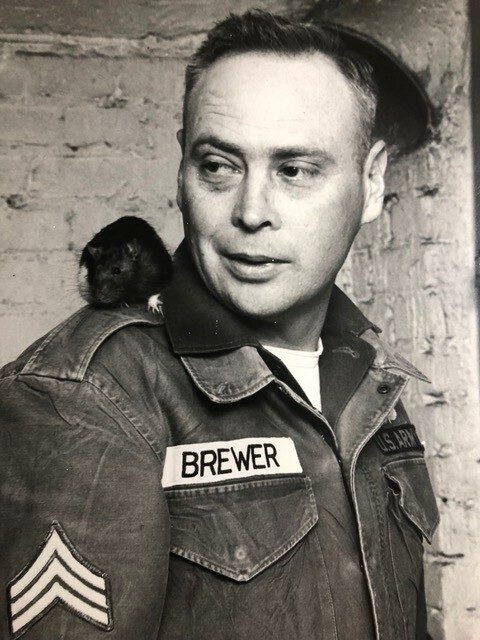 Retired SFC Earl Eugene Brewer, 89, of Fayetteville passed away on Friday, September 7, 2018. He was a veteran of the US Army 82nd Airborne, proudly serving over 26 years, doing two tours in the Korean War and Dominican Republic. He was preceded in death by two sons, Terry William Brewer and George LaFontaine Jr.
Earl is survived by his loving wife of 51 years, Helen Dawson Brewer; five sons, Michael LaFontaine and wife, Marsha of Fayetteville, Eugene Brewer of Eagletown, Okla., Richard Brewer and wife, Ann of Tom, Okla., John David LaFontaine and Bridgette of Richford, Vt., and Dennis LaFontaine and wife, Linda of Richford, Vt.; six daughters, Margie Harter and husband, Dave of Marinette, Wis., Mona LaFontaine of Shallote, N.C., Connie Ladieu of St. Albans, Vt., Mary Ann Goyette and husband, Carl of Richford, Vt., Carolyn Kay LaFontaine of Richford, Vt., Theresa Ladieu of Swanton, Vt., and several nieces, nephews, grandchildren and great grandchildren. The family will receive friends from 6:30 p.m. to 8:30 p.m., Tuesday, September 11, 2018 at Rogers and Breece Funeral Home, a Rosary will be held at 6 p.m. prior to the visitation, everyone is welcome. The funeral service will be held at 11 am Wednesday, September 12, 2018 at St. Patrick Catholic Church with Father Gregory Lowchy officiating.